Tonight we have a quick Flying Scotsman update. 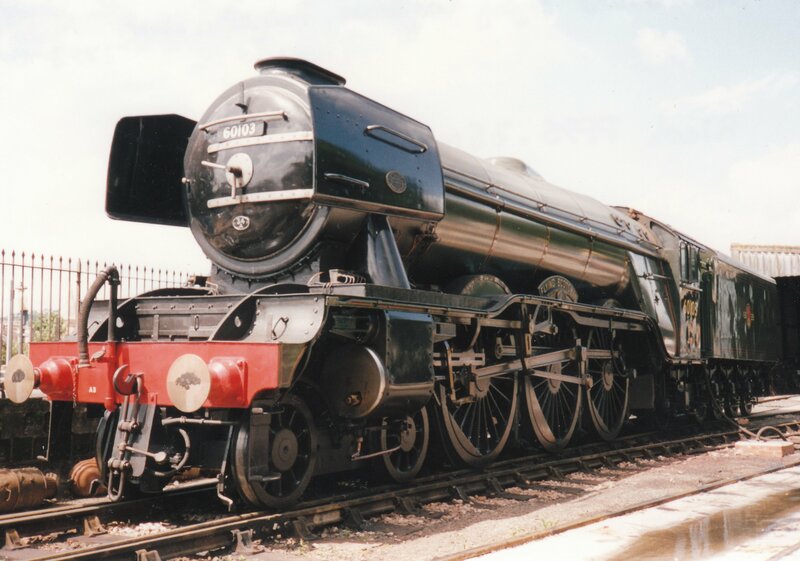 Progress towards arguably the most controversial overhaul of a steam locomotive are making more significant and positive steps that should help see it returned to steam in 2015. Flying Scotsman’s tender has now left the NRM and joined the locomotive at the workshop of Riley & Son (E) Bury, where the Train Monitoring Recorder and the Train Protection & Warning System are to be fitted over the coming weeks with also routine maintenance on the wheel bearings to be carried out. To see more, visit www.flyingscotsman.org.uk/see/photos. I am very much looking forward to seeing the worlds most famous steam engine in steam again. Like it or not it is the ambassador of living steam locomotives and with it running again it will be back capturing the hearts of a new generation of steam enthusiast. 07/07/2015 in National Railway Museum, News - Preserved Railway.